David Le/Gloucester Daily Times. 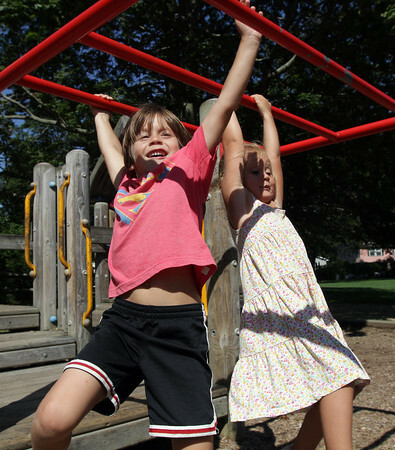 Sebastian Spinelli, 6, left and his sister Alexia, 4, swing together on the monkey bars at Masconomo Park in Manchester on Wednesday afternoon. 8/17/11.